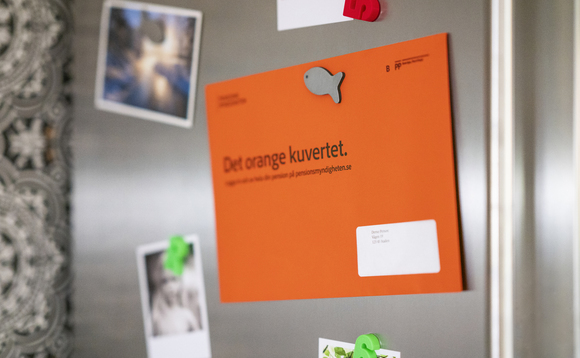 The Swedish Pensions Agency has initiated the mailing of 5.9 million 'orange envelopes' and a month-long information campaign around pensions as the system hits its 20th year of operations. The envelopes, which contain updates on pension savings, have been sent out since 1999. They contain information that is adjusted according to whether the recipient is aged below or above 28, whether they are resident abroad, or depending on whether it is the first time they receive such information. The campaign is also intended to encourage recipients to log into the Pensions Agency's system to obtain a fuller picture of their retirement savings. For those who are middle aged, the objective is to raise awareness of habits that can affect pensions, and understanding of the size of a pension for those continuing to work as they currently do. Lifetime income, the timing of triggering a pension, and access to workplace pensions are the factors that can most influence retirement outcomes, with different choices and forms of savings having less affect on the overall size of a pension, the Pensions Agency added. Additionally, the Pensions Agency will put out another 1.8 million orange envelopes targeting those already in retirement. Of the total number sent out, it estimates that 2.9 million savers and pensioners will receive them electronically. The Pensions Agency has responsibility for AUM of mor than SEK1.2trn (€115bn) and accounts for some 35% of all new fund savings in Sweden.